Both display formats are still growing, but that growth has slowed significantly. LCD and plasma televisions have been experiencing a great deal of growth, especially over the last year, but it seems that growth spurt has ended. 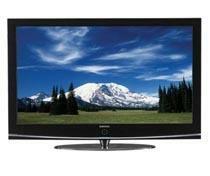 In the first quarter of 2010, LCD TV shipments grew by 50 percent. That was spurred on in part by the World Cup, but 50 percent growth is remarkable no matter how you slice it. In 2011, the first quarter growth was just nine percent. Plasma sets were in a bit of a resurgence thanks to lower prices and the busting of a few common plasma TV myths, but this quarter they're down to six percent growth - not exactly mind blowing. Interestingly, plasma TVs still improved a good deal in the 720p category. Analysts cite low prices for large screen sizes as the primary cause.